No matter how long you’ve been out of school, there’s something about the first week of September that takes you back to riding the school bus for the first time, to the first day with a new teacher, or to the day you moved into your first dorm room at college. Although the experience of school has faded into the past, for many adults, the urge to learn runs deep. Lifelong Learning at Swarthmore (LLS) was designed to satisfy that urge by offering a slate of college-level courses taught by senior members of the Swarthmore faculty—both at the College and in New York City. In New York, Matthew Rosen ’73 has enrolled in 12 courses since the program was extended to Manhattan. This fall, LLS will celebrate its 10th anniversary with a dinner for past participants—both students and faculty—from both the Swarthmore and New York programs. You too can “go back to school” by enrolling in one of this fall’s offerings. 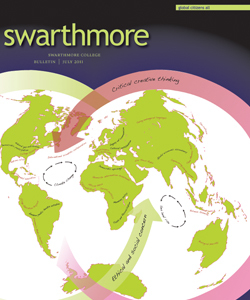 For more information go to www.swarthmore.edu/lifelonglearning.xml or call (610) 957-6132. 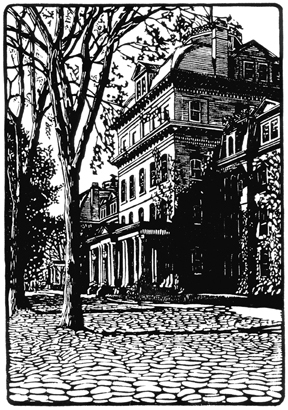 I enjoyed and am grateful for your piece on Lifelong Learning at Swarthmore. The program's success or failure depends above all on the excellence and dedication of the participating faculty. In acknowledgment of that fact, I, and probably many students in the program, would have liked to see the names of all who have taught in it. In addition to the nine named in the piece, they are Phil Weinstein, Michael Marissen, Mark Kuperberg, Stephen Bensch, Peter Collings, Randy Exon, Scott Gilbert, Kaori Kitao, Rachel Merz, Ken Sharpe, Rick Valelly, and Bob Weinberg.